OSWEGO – Lakeside Artisans’ next Paint Nite, February 8, will feature a special themed painting in recognition of Valentine’s Day. Heart Flowers, by Michelle Southgate, will be the subject for the Lakeside Artisans’ Paint Nite on February 8. 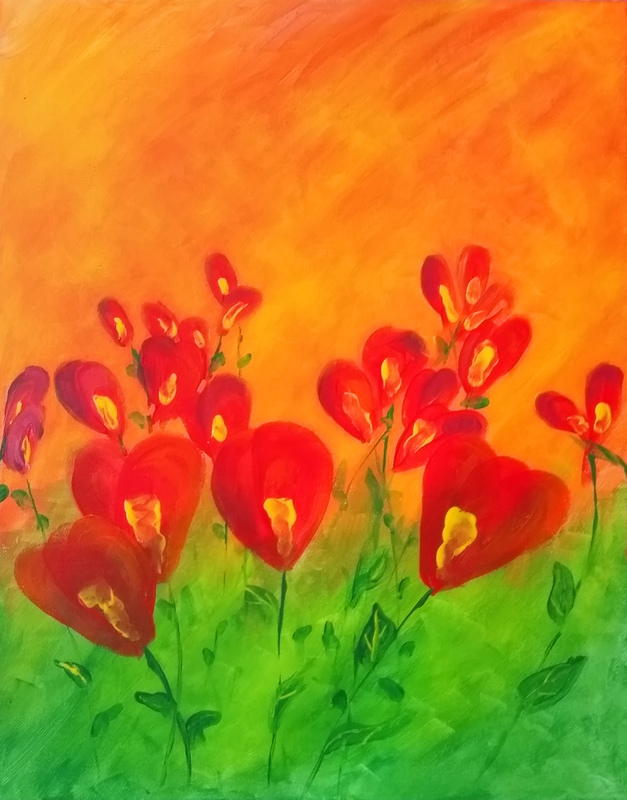 Participants will start with a blank canvas and, under the guidance of instructor Michele Southgate, create their own version of the Valentine’s Day painting, Heart Flowers. The event will take place from 7 to 9:30 p.m. in Oswego’s Canal Commons’ downstairs community room. Plenty of spaces are available for this event, the latest in the series of highly popular paint nites presented by Lakeside Artisans. The cost of the event is $45. All materials: brushes, paints, canvases, aprons and easels will be provided. $10 is due at the time of the reservation and the remaining $35 is due the night of the event. Gift certificates for paint nites are now available at the Lakeside Artisans. Give a certificate and the recipients can register for any of our upcoming paint nites. Reservations and gift certificates are available in the Lakeside Artisans’ Canal Commons shop, 191 W. First St. The Lakeside Artisans store is open Monday – Saturday from 10 a.m. to 6 p.m. and Sunday from noon to 4 p.m.